Leesburg holds the county seat of Loudoun County, a fast developing historic town 30 miles northwest of Washington, D.C. It exudes a small town vibe, which is charming and friendly to visitors, offering convenient access to Blue Ridge Mountains to the west and the Potomac River to the north. Like the rest of Loudoun County, it has experienced a significant development as a town over the last 30 years growing from a small, rural place to a suburban community. Leesburg has 21 K-12 schools, including several world-class public schools and private schools. The five high schools serving Leesburg are: Heritage High School, Loudoun County High School, Leesburg Christian School, Tuscarora High School, and Loudoun County Juvenile Detention Home School. Leesburg’s ten middle schools are: Heritage High School Belmont Ridge Middle School, Tuscarora High School, J. Lupton Simpson Middle School, Harper Park Middle School, Smart’s Mill Middle School, Loudoun Country Day School, Dominion Academy, Leesburg Christian School, Loudoun County Juvenile Detention Home School. Leesburg demonstrates its extensive school system by twenty one elementary schools. Some of these schools are: Seldens Landing Elementary School, John W. Tolbert Junior Elementary School, Frances Hazel Reid Elementary School, Ball’s Bluff Elementary School, and Cool Spring Elementary School. See the complete list of elementary schools in Leesburg. The following are Leesburg’s private schools: Goddard School-Leesburg, Leesburg Christian School, Montessori School of Leesburg, Providence Academy, St. John the Apostle Pre-school, and Chesterbrook Academy #817. Leesburg has over ten golf courses! Great news for golf enthusiasts who will also be impressed with the town’s top premiere golf courses, such as Hunt Club, Club at Creighton Farms, Raspberry Falls, and Lansdowne Golf Course. This historical town lives up to its early century impression with more than two dozen vineyards. Leesburg is home to sixteen parks, one of which is the Ida Lee Park featuring a recreation center with eleven tennis courts, outdoor aquatic center and 71,000 square feet of aquatic, fitness and recreational activities. Shopping is a joy to behold with big brands all over the different shopping centers in the downtown area. 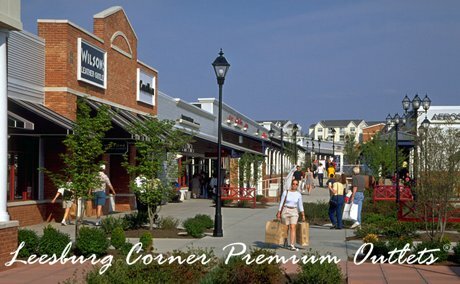 Some of the major shopping attractions are located in Historic Downtown Leesburg and Leesburg Corner Premium Outlets. The Historic District also provides a charming scene for dining, walking tours, visiting art galleries and museum-hopping. 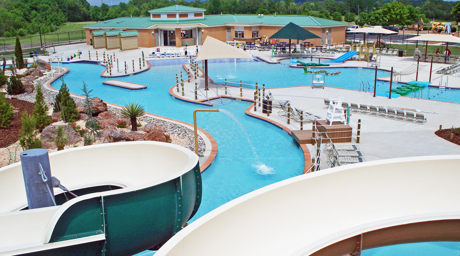 Other Leesburg attractions include the 67 acres of woodlands and over 2 miles of trails of the Red Rocks Wilderness Overlook Regional Park, The Rust Manor House and Nature Sanctuary owned and operated by the Audubon Naturalist Society of the Central Atlantic States, Inc. and the AAA Four Diamond-rated full-service resort Lansdowne Resort.